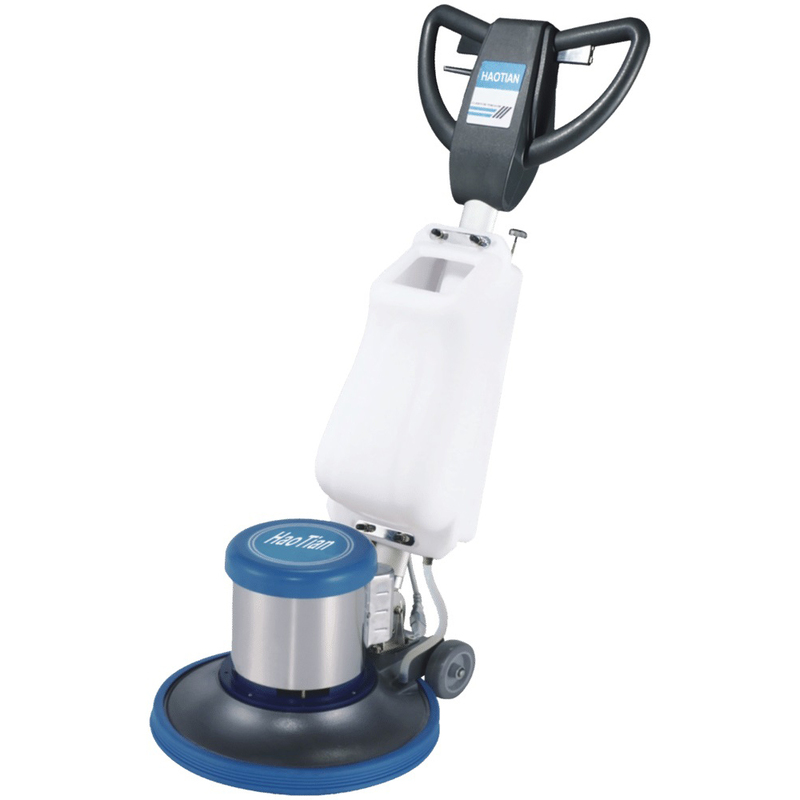 Floor Cleaning Machine is capable of cleaning different types of floors such as marble, vinyl and mosaic. 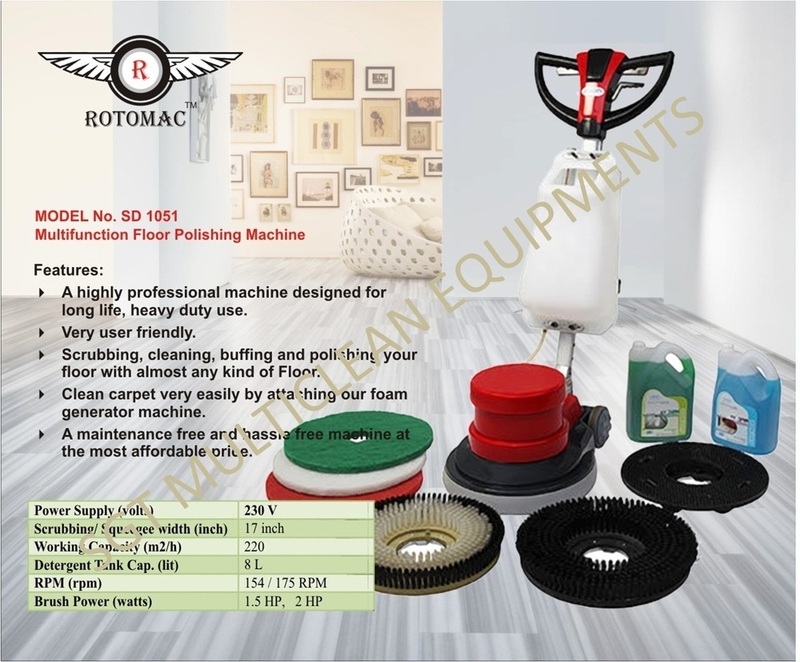 Widely used in restaurants, metro stations, hotels, airports and offices, our machine can also be used for shampooing of carpets. 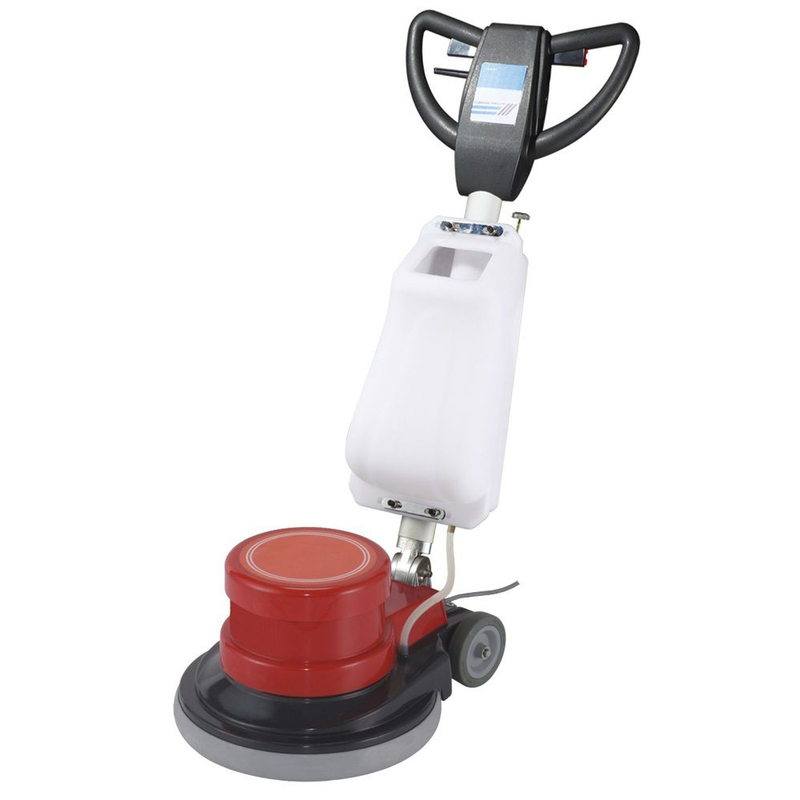 These Machines are designed for deep cleaning on all types of floor (Marble, Mosaic, Granite, RCC, Vinyl, Carpet, Mat & wooden Floors). Four Function â Washing, Scrubbing & Buffing Floor, Washing & Cleaning Carpets & Mats. (Scrubbing & Buffing of the Floors). Specially designed handle with butterfly shape with grip for comfort & safer. Adjustable Handle â for different height adjustment, as required by the user. Works by gears and equipped with two capacitor for safer & powerful. Teflon wheel with high quality for longer life and also for easy movement, after job is over. These machines help the operator to cover large area of floor in a limited amount of time. It reduces the man power & saves the time to complete large areas.